And when this happens, there is only one remedy. Well, two remedies, of course. 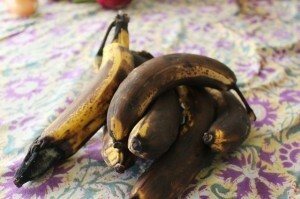 You can chuck them all into the compost bin or trash. But if you’re on top of things when bananas go bad, and you have sugar, eggs and cinnamon, you can pursue the one true remedy. Which is banana bread. Duh. It really couldn’t be easier. 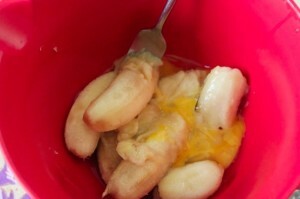 First you have to mush the bananas and the eggs together. Then you add everything else. Mix it all together. 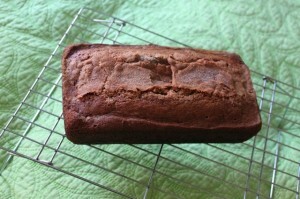 Pour into a buttered bread loaf pan. 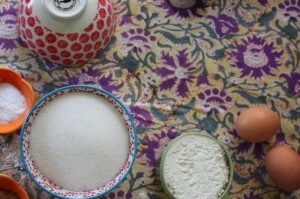 Sprinkle a mixture of cinnamon and sugar on top. Put it into the oven and bake for about 40-45 minutes at 375. Let cool for ten minutes, then remove from pan and let cool on a rack. Now you no longer have alarming dead bananas on your table attracting fruit flies. 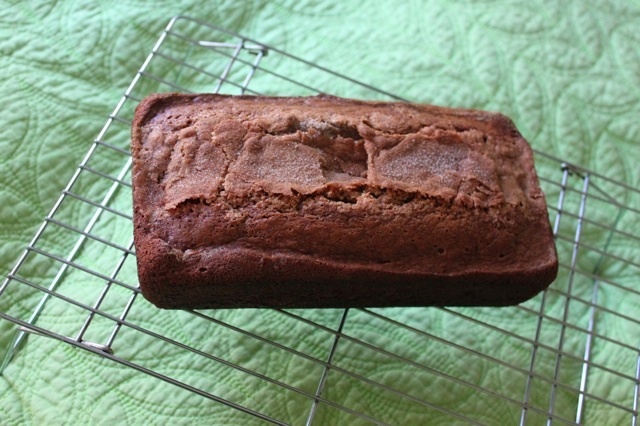 Now you have banana bread and best of all, a home that smells like freshly-baked banana bread. Next post: Heuvos Rotos: Let’s Crash our Eggs Again, Shall We?